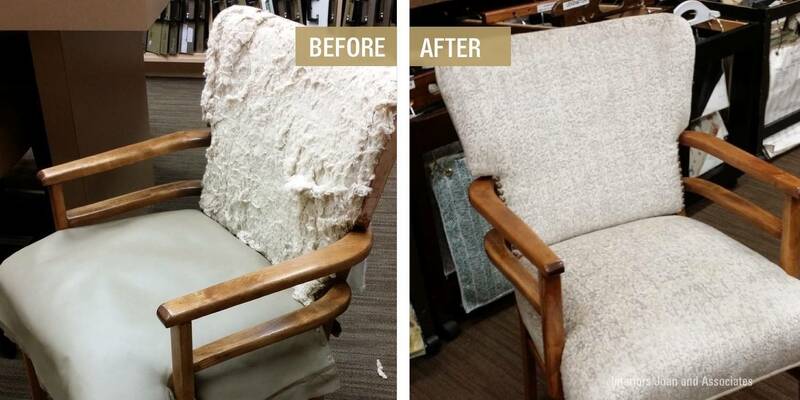 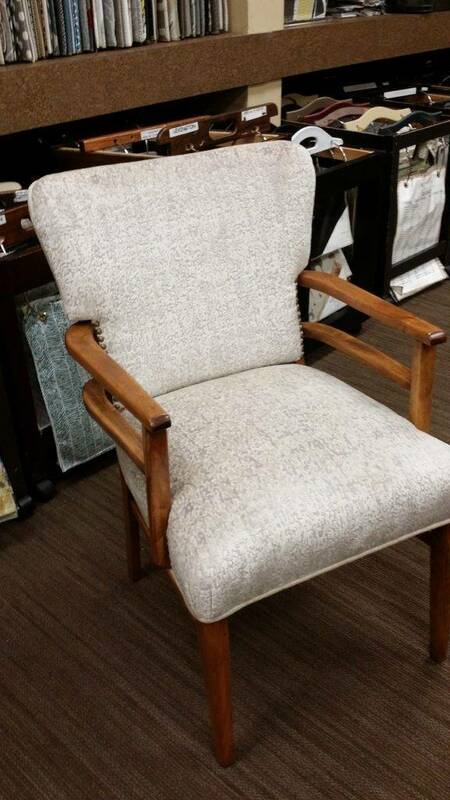 An authentic mid-century modern walnut-framed chair gets a new life! 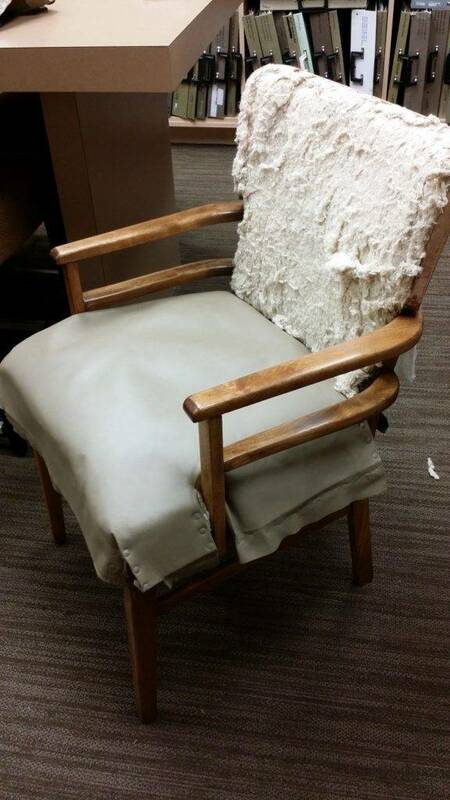 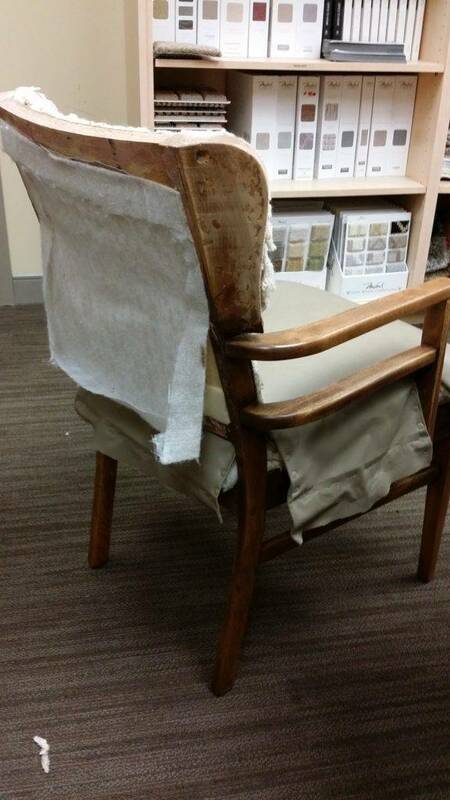 Old horse hair and straw were removed from the original chair and new cushioning added for a more comfortable sit. 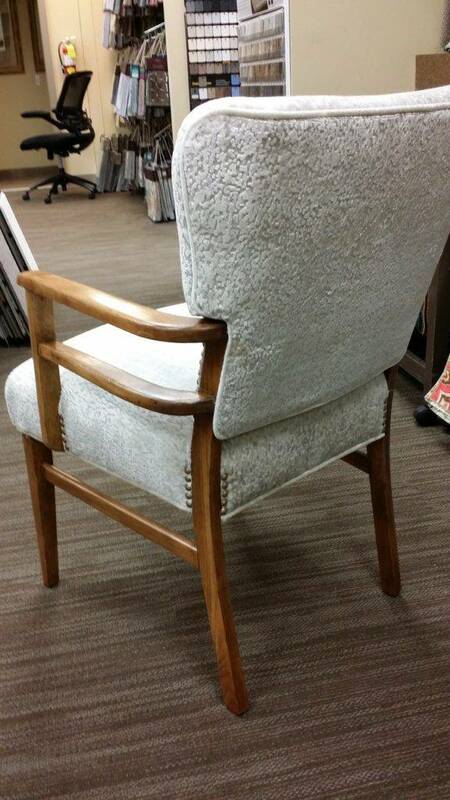 Then, it was recovered in a textural cut velvet for an elegant final result.